The merging of social media and news media continues to advance. Facebook and Twitter have now joined the First Draft Coalition, a group of over 30 different companies and publications which was set up last year to improve the relationship between news and tech, and in particular, address the huge amount of fake news stories which appear online. Other members include The Washington Post, The New York Times, The Telegraph, BuzzFeed and CNN. It was set up by Alphabet. The addition of Facebook and Twitter to the fold is largely aimed at the fake news issue, as both platforms have become infamous for broadcasting them. Facebook in particular have fielded a number of controversies by trending stories which turned out to be bogus. The trending issue is a contentious one. The system Facebook use was put in place so that there was no bias at play in the top story selections, but, as is the way with these things, there are certain things you won't pick up on unless you're, well, human. With Twitter, the issue is more the fact that it is frequently implemented as a propagandist platform, something which they've struggled to police as their user base has grown. Issues such as these will likely continue to arise as people increasingly rely on social media as a source of news. Better tools for journalists will improve the effectiveness of Facebook and Twitter as sources, as well as teaching them how to distribute it more effectively. It's a learning process on both sides of the coin, being that social media news sharing is such a new phenomenon, and nobody is exactly sure what the line of best fit is, yet. 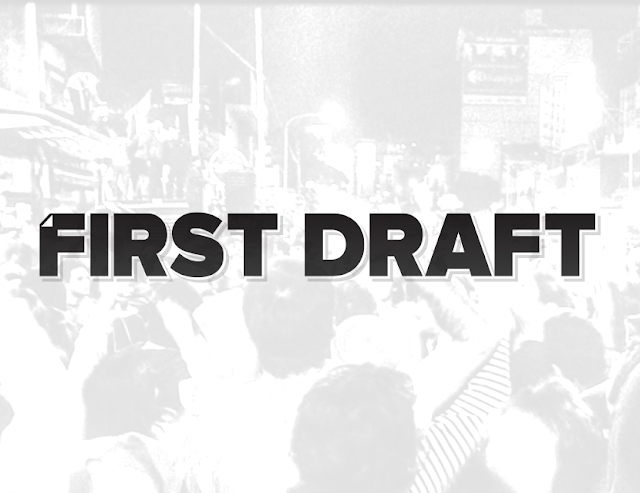 At this stage in the game, all First Draft are really doing is developing guidelines, but with time, the hope is that they can create a system for digital journalism which all publications and platforms will base their approach on.